What’s Causing You to Cough? We all cough. Cough is an important function. But like many things, too much of a good thing is no good. The first and most important step toward effective cough treatment is understanding what’s causing cough. And there’s a meaningful difference between identifying the underlying cause of your cough and the triggers or irritants or stimuli that tickle your body’s cough mechanism and produce cough. Real and lasting success relies on addressing what’s causing cough rather than the symptom. Dr. Mandel Sher and Center for Cough team accurately diagnose the cause and triggers of your unique cough. Accurate diagnosis is the foundation of an individualized and effective cough treatment plan. Precision cough diagnosis avoids a trial and error approach with cough treatments that prove to be ineffective. Accurate diagnosis and targeted cough treatment also shortens the time it takes for people suffering with Chronic Cough to feel better. More than 8 out of 10 Center for Cough patients demonstrate measurable improvement in their cough and life. Dr. Sher is a Cough Specialist. He is the only doctor in the southeastern United States, and one of only a few in the nation, who focuses on being a cough doctor. 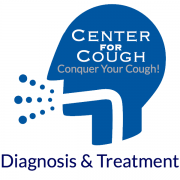 Dr. Sher and Center for Cough team have a comprehensive approach to cough diagnosis and cough treatment. In almost all cases, cough evaluation and recommendation of cough treatment occurs during a single outpatient visit to the Center for Cough office. If you or someone you know suffers with Chronic Cough, contact Dr. Mandel Sher at Center for Cough: 727-393-8067.
http://centerforcough.com/wp-content/uploads/2015/11/Diagnosis-and-Treament-copy.png 600 600 Center For Cough http://centerforcough.com/wp-content/uploads/2016/03/cfc-logo-300x82.png Center For Cough2015-11-11 12:19:232016-09-26 17:10:44What's Causing You to Cough?